An unhappy customer was recently caught on video going on a racist tirade at a Bay Area Verizon store. 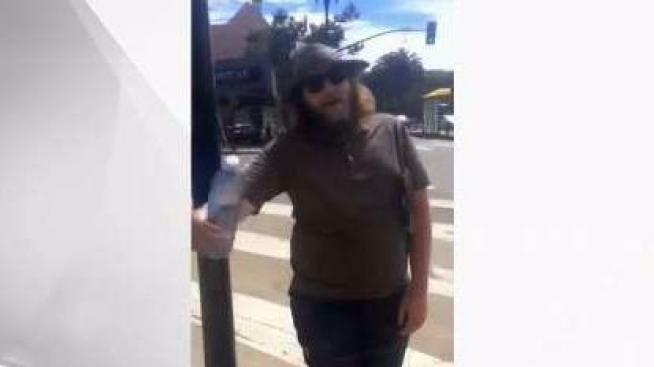 A man who who recorded the video is a manager at the Verizon store near Sanchez and Market streets in San Francisco. He claims the would-be customer in the video tried to buy a phone on his family's plan but did not have a PIN number or cash. When the man did not get what he wanted, he went on a racist rant that spilled outside the store. One witness who didn't want to be identified said hearing the N-word is hurtful. "People still have that hatred in their heart for a person because of the color of their skin. I can't understand," the person said. "It hurts a lot, hurts a lot of people who see that video." The video has been widely viewed on social media. And while it may be hurtful to many, authorities say hateful speech is not a crime.